Taco night has always been a favorite in our house. 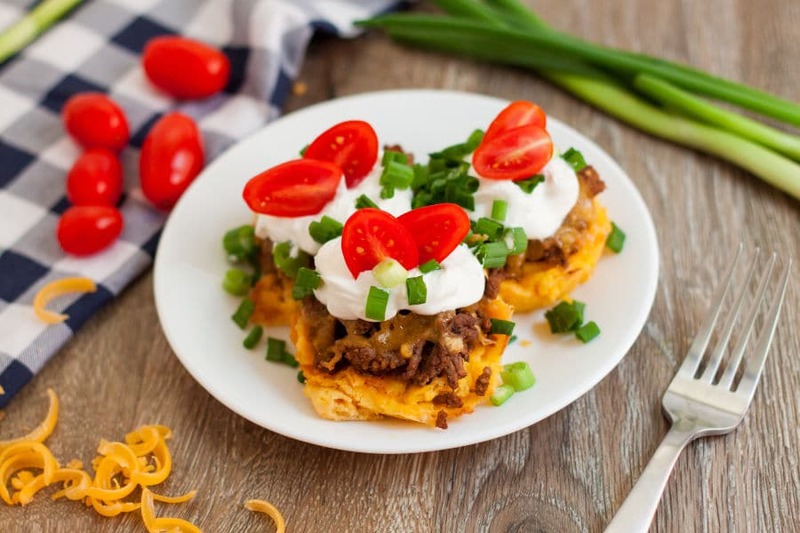 These Keto Low Carb Taco Cups are a favorite that keeps everyone on track with their dietary needs. They are super easy to make, delicious, and of course, easy to adapt to your needs and favorite toppings! 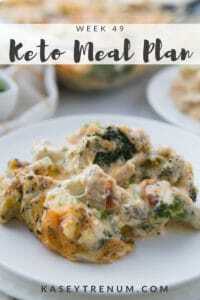 As a busy mom of 4 kids, I am always looking for ways to incorporate our Keto/low carb lifestyle in recipes that my kids will enjoy. I think it is easier to find creative ways to prepare a recipe so that it can be eaten differently instead of always looking for brand new recipes. One of my kid’s favorite go-to meals is tacos. My kids eat theirs on tortillas while my hubby and I eat our taco meat on a bed of lettuce. I usually cook extra so that the kids and I can eat it for lunch as well. Even though my kids probably wouldn’t care if we had taco night once a week, I was looking for a way to change it up this and came up with Low Carb Taco Cups. 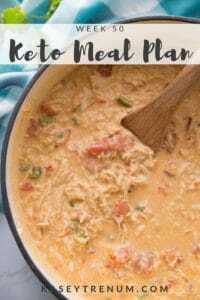 I’ve enjoyed tweaking my Keto Biscuit recipe to make a low carb version of Keto Low Carb Chicken Pot Pie, Keto Sausage Ball Recipe, and Cheesy Keto Breadsticks and thought it would also be perfect for this recipe as well. Although my kids were a little skeptical at first, they ended up eating several low carb Taco Cups and enjoying them. 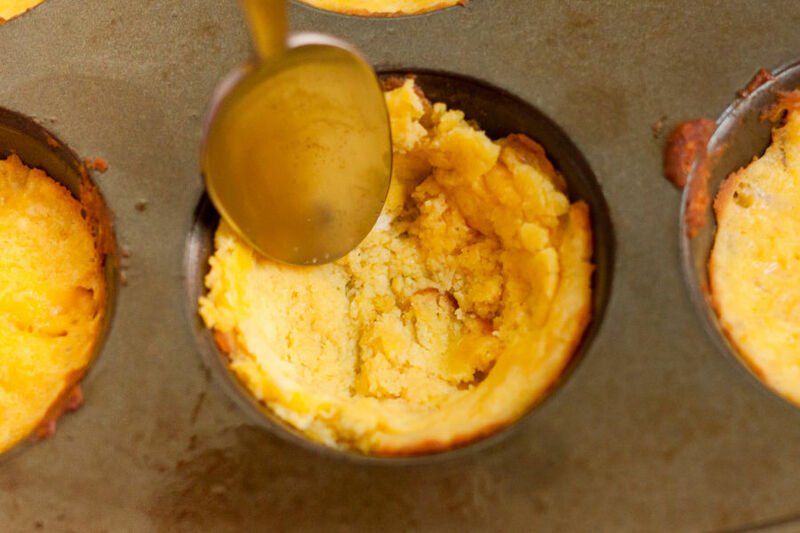 You know a keto recipe is good when it gets the stamp of approval from your kids. 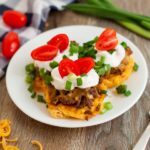 These easy Keto Low Carb Taco Cups are so easy to make and come together quickly with just a few ingredients. The batter will be thick from all the fiber in the coconut flour. This is normal. If you’d like to substitute almond flour; instead it is not a 1:1 substitution. You’ll need 4x as much almond flour as coconut flour. 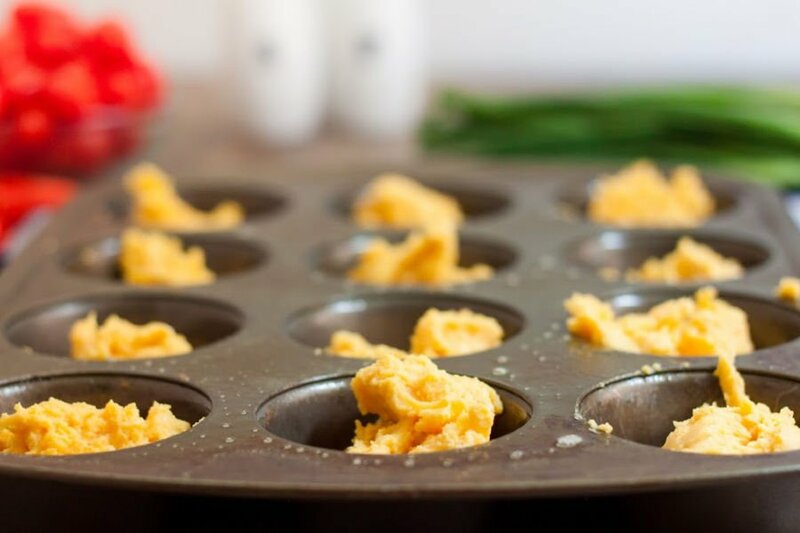 Divide the Keto Taco Cup batter evenly between the muffin tins. They will puff up when you bake them a bit. Simply use the back of a spoon to push back down before adding the taco meat. Generously sprinkle cheese on top. I used cheddar, but you can use your favorite variety. If you are into prepping ahead, you may want to cook ground beef in large batches. It’s great for recipes like this. Just cook it with salt, pepper, garlic, and seasonings, cool, and divide into 1-2 cup portions to freeze. Then, when you are ready to make a recipe, thaw a little at a time and throw it together. This saves tons of time in the cooking process. Tip: Skip all the additives and make keto friendly homemade taco seasoning using my recipe. My favorite taco meat is this recipe for Very Best Taco Meat. You can easily top with your favorite full fat sour cream, cilantro, tomato, or avocado! Preheat oven to 400 degrees and grease a muffin pan. 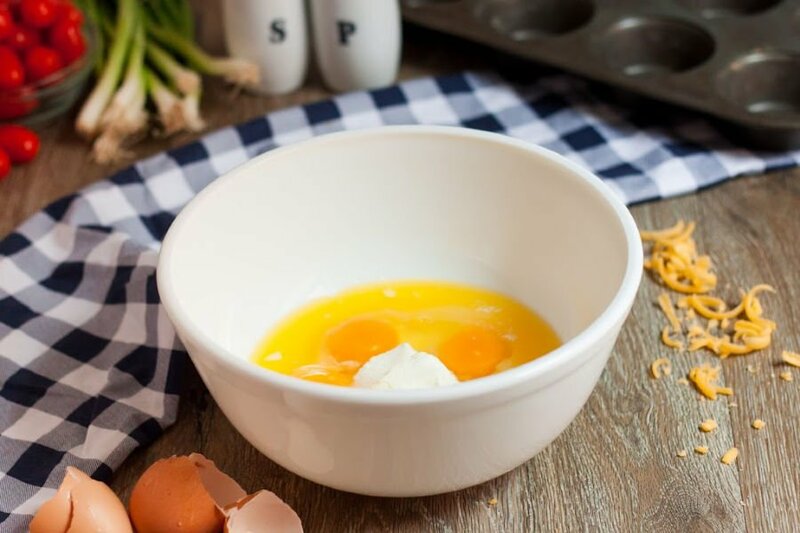 Combine melted butter (I cool mine by popping the bowl in the fridge for 5 min), eggs, salt, and cream cheese then whisk together. Add coconut flour, baking powder, and spices to the mixture and stir until combined. Bake for 8 minutes then remove from oven. If the dough rises, simply push it back down with the back of a spoon. 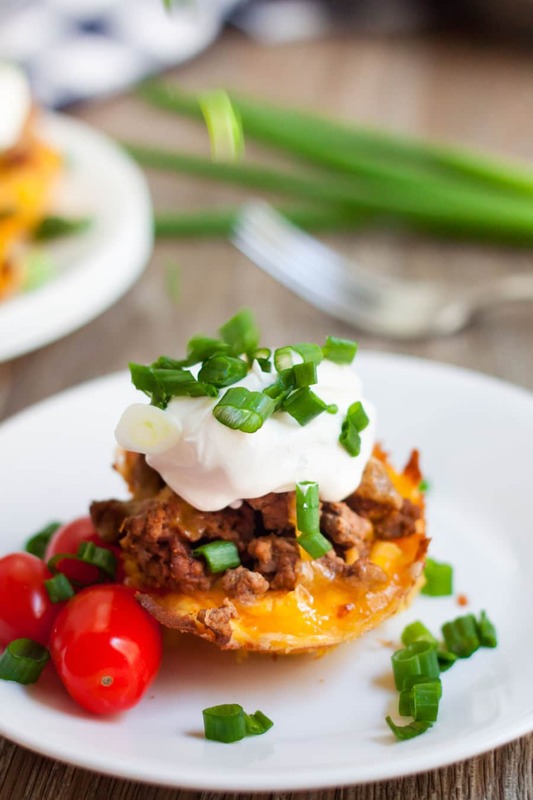 Spoon taco meat into taco cups. Sprinkle about a tablespoon of cheese on top of taco meat. Put back in oven and continue baking for 5 minutes or until cheese is melted and taco cups are baked all the way through. The nutritional information provided is for taco cups only since most people prepare taco meat differently. 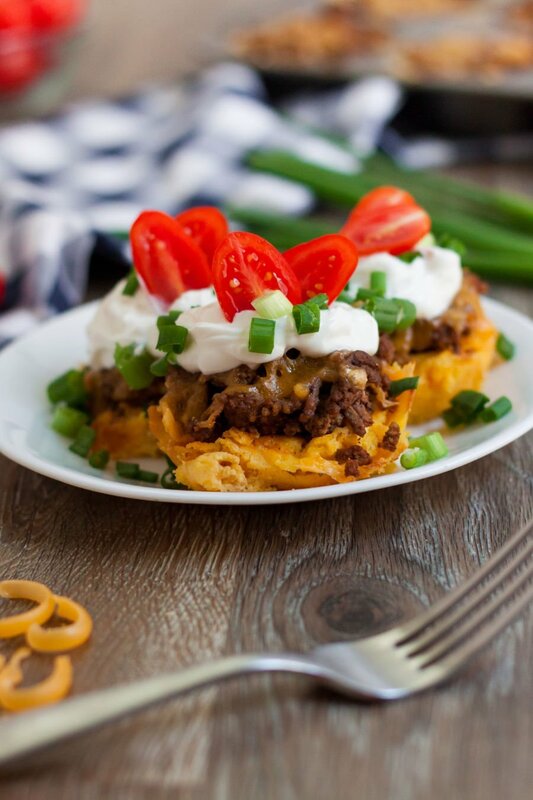 If you loved our Keto Taco Cups Recipe as much as my family, then I know you will enjoy the rest of our favorite recipes. 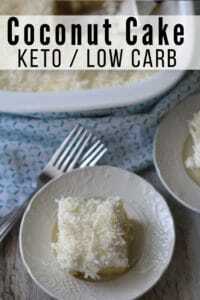 Make sure to check out our Low Carb Keto Recipe Index for all of our keto recipes. You can also check out my personal favorite Mexican flavored recipes below. Thanks! Hope you enjoy them. What’s the 11×7″ greased baking dish for? I was working on two recipes and once and confused the directions. Sorry about that. It has been corrected now. I’m sure it would, but I’m not sure how much as it’s not a 1:1 substitution. I don’t personally have any experience with almond flour because my daughter is allergic to almonds. These sound yummy! What would be considered just 1 serving? I’m new to this. Sorry. ? It really depends on each individual. I listed the nutritional info for each taco cup so that each person could determine their own serving size based on their needs. Mine did that once, so I just pushed them back down in the middle. You could try cutting out circles of parchment paper and using them in the muffin tins so they don’t stick. I’ve got one pan that sticks and one pan that doesn’t. It’s so weird. Not sure what I did wrong! Mine were taco cup muffins. Lol. Trying to scoop out middle and put back in oven. Fingers crossed they taste better than they look! Update they were delicious, ugly but delicious! The recipe says it is for 14 cups – my muffin tins are a six and a twelve – did you have to bake two alone? 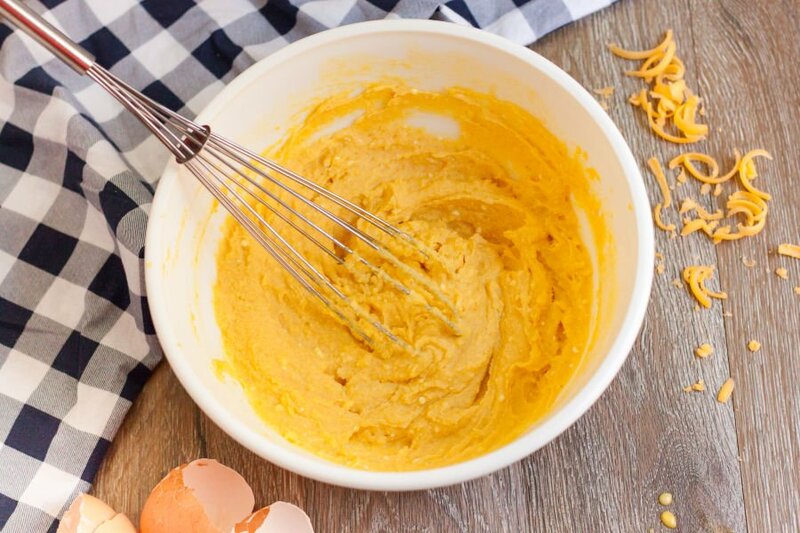 You can either bake two alone or add the extra batter to the other 12. They taste great, but they were super stuck and fluffy rather than crispy. Any ideas on what I did wrong?? It will puff up a little. Just use the bottom of the spoon to push it back down before adding the taco meat. I loved the flavor and texture of the cups. Mine puffed up a little, so next time I will try squishing them back down. I wondered if anyone has used this recipe to make a bun and what the process and results were? I thought the flavor would be yummy with a burger – thanks! These were so yummy! My picky kids actually enjoyed them too. Probably not recommended to freeze or keep in the fridge long? We always eat ours so fast so I’m not sure how long they would keep. Can I use gluten free flour???? There are .9 net carbs PER taco cup? Just clarifying? Also thank you for a coconut flour recipe!!! 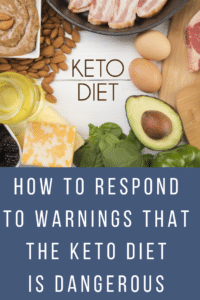 I’m allergic to almonds and everything keto is made with almond flour. When I hit the PRINT button at the top of the recipe, it comes up with just the recipe and a small picture of the food. Nothing else. Have you tried just hitting the PRINT button? We made these tonight and had thumbs up from everyone. They came out of the muffin tin easily, and they looked really pretty. These would be great for a potluck. Thank you for this wonderful recipe! Yay! That is fantastic. So glad you loved it. This re ups is great!!!! We topped ours with green Chile’s, sour cream, and salsa!!! My cups did rise but I used a small measuring cup to reform them into cups again and it worked perfectly!!! Sounds delicious! SO glad you enjoyed them. these were delicious! i would cut down on the butter next time as they were really greasy. 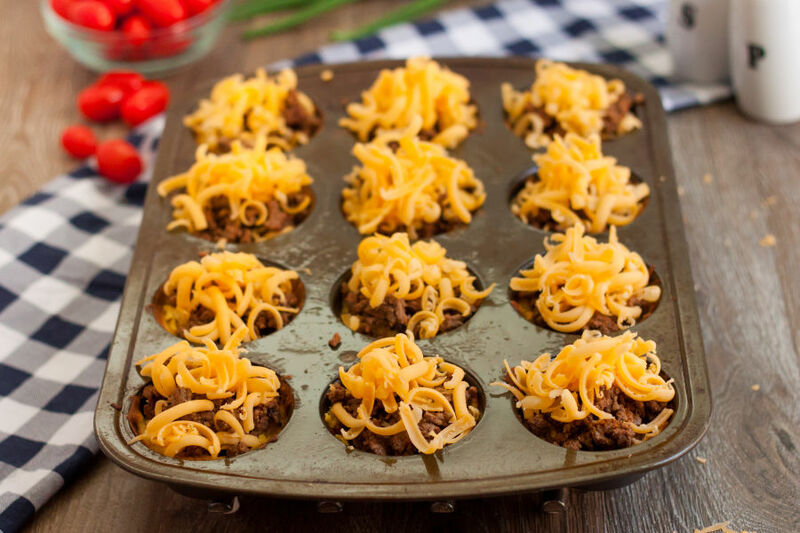 Also when you first take them out it doesnt look like they are done because they are so hot, but i took a shot glass and pressed it into each muffin and created space for the taco meat – once they are out for a little bit they have more of a spongy consistency. Thanks for this recipe! Looking forward to trying more of your recipes! Thanks for the tip. Glad you enjoyed them. Blessings! these look amazing…as do a lot of your recipes! !…could you do this on a sheet pan? sort of a pizza type?…also I have almond flour….need to get some coconut! These were perfect. The kids loved them and didn’t even know they were diet friendly. Fantastic! So glad you and the family loved them. Use the bottom of a shot glass to push these down after cooking! Works great! What other flour can I use, besides coconut flour keeping it low carb? You could use almond flour but you would need 4x as much. Coconut flour requires very little because it is so absorbent. This recipe came put GREAT! Even the kids were “so yuum”. Thank you Kasey! Awesome! You are so very welcome. Is the nutritional info including taco meat ? I’m assuming no ? It does not because people may make their taco meat differently, which changes the carb count. I would not try to sub regular flour in this recipe for coconut flour. I would say 3 days or so and yes they can be frozen. Recipe looks great, but I was wondering if it’s possible to make it dairy free? My son is allergic to dairy (and almond). I’ve only tested it as is since we do not have any dairy allergies in our family. We do have nut allergies so we understand making tweaks to recipes so all can enjoy! Hope you can figure a way to make it work! Could these be made using corn tortillas? Thinking a nice change of pace for a large crowd at church. THANKS for your insight. I’ve only made them as is, but it sounds like it would be a way to change up the recipe. It would change the carb count as corn tortillas are high in carbs. Hi! 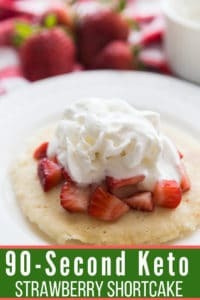 These look delicious and like something the whole family will enjoy!! One question…I don’t see taco meat listed in the ingredients. How much is needed and is it included in the nutrition facts? It is not included in the nutritional info because each person makes taco meat differently. I follow the directions personally for the Very Best Taco Meat that is linked in the post. My muffin pans aren’t non-stick/teflon. They’re old…like me ? Can I make these with parchment paper cupcake papers??? Actually new to cooking and trying to cook as well as I can using keto recipes since it’s just me in the house that wants, or needs, to get on this lifestyle. My question is how much taco meat would you need to cook to fill the 14 taco cups in this recipe. Sorry if this a basic question but i guess it really highlights my skills in the kitchen. What is a serving size for these?? The nutritional info is provided per taco cup so that each person can determine their own serving size based on their hunger levels and health goals. Can I prep ahead on am donthey are ready to be stuffed when I get home? I am not sure I haven’t tried making them that way. Does the macros include the taco meat and cheese used for topping? No, as people tend to use different recipes for taco meat. I made the cups for my kids to use up some taco meat my hubby made on Sunday. They were so goood! I was hoping for left overs for lunchboxes tomorrow, but the 2 year old and I ate 2, and the 5 and 8 year olds ate 4 each. The older 2 would have eaten more if I had made more. Definitely a keeper! – I bypassed step 7 so baked the cups and meat at the same time for 30 mins in a 12 cup silicone muffin tray. – At 25 mins I topped with mozzarella and put back in the oven for 5 mins. – When cooking time was done, I removed from the oven and allowed to cool for about 5 mins. – To release the pies, I ran a knife around the edge to losen any sticky bits then pressed the bottom of the pan up and used a knife to lift the pies out. So glad everyone loved them! Hi is the nutrition for 1 taco or per 100 grams? I just made these for supper . Super easy I used all purpose gluten free flour and when they came out of the oven I used a bottom of a glass to make the indent so it can hold the meat. Could these be made with shredded chicken? have only tried as is. Let me know if you give the chicken a try.